Dear Aspirants, this fruitful year has already brought many opportunities for becoming a banker and many more exam notifications are expected. So far drastic changes have been made in the exam patterns to screen the prominent candidates for the desirable position. 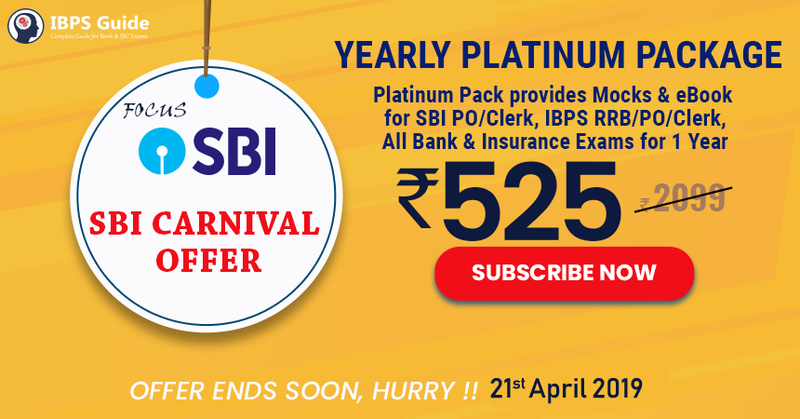 To vanquish IBPS PO, SBI PO, NABARD Grade-A, RBI Grdae-B and RRB PO Main Exam switch to the newly updated pattern. Take up regular practice with the extreme hardest level questions that we are providing. Puzzle section is the toughest and time consuming section than all other section in Reasoning, the only option to score in this part is a perfect practice. 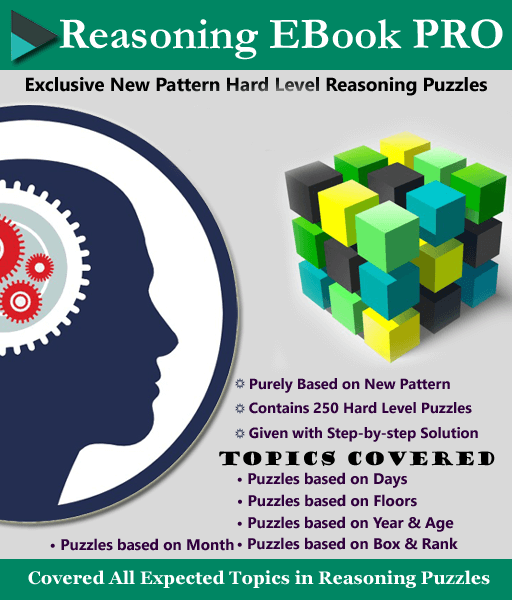 We IBPS Guide Team have provided you Reasoning eBook PRO which enhances your skills in puzzle sets. Always remember the average is not secure, to intact yourself and vanquish your dream download the most satisfying Reasoning eBook PRO. Purely based on recently updated New Pattern Questions. Contains 250 extreme Hardest Level puzzles. Each Puzzles were solved by Step-by-step solution with detailed explanation.